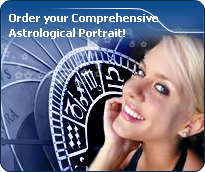 You will find below the horoscope of Rachel Riley with her interactive chart, an excerpt of her astrological portrait and her planetary dominants. If you know the time of birth of Rachel Riley, we would appreciate it if you would send us your information with your source, at stars@astrotheme.com. To thank you for contributing to the enhancement of our astrological database, we shall be glad to send you the astrological portrait (34 pages) of this celebrity. Horoscopes having the same aspect Moon sextile Saturn (orb 2°03'): Heath Ledger, Amy Winehouse, Paris Hilton, Mel Gibson, John Travolta, Edgar Cayce, Sarah Jessica Parker, Yoko Ono, Ricky Martin, Muammar al-Gaddafi, RuPaul, Rita Ora... Find all the celebrities having this aspect. Celebrities clicked on in real-time: 577,221,005 times. Rachel Annabelle Riley (born 11 January 1986 in Rochford, Essex) is an English television presenter. Since 12 January 2009 she has been the co-host of Countdown. She replaced Carol Vorderman on 12 January, 2009. Nick Hewer is the chief presenter and Riley does the letters and numbers. Riley was educated at Southend High School for Girls, and went on to study mathematics at Oriel College, Oxford, gaining an upper second-class honours degree, having obtained four grade As at A-Level. After graduating she began work as a data analyst for a website company in London. She was encouraged to apply for the Countdown position by her mother, a charity fundraiser married to a City auditor, and also by her boyfriend's mother. Here are some character traits from Rachel Riley's birth chart. This description is far from being comprehensive but it can shed light on his/her personality, which is still interesting for professional astrologers or astrology lovers. In a matter of minutes, you can get at your email address your astrological portrait (approximately 32 pages), a much more comprehensive report than this portrait of Rachel Riley. Warning: when the birth time is unknown, which is the case for Rachel Riley, a few paragraphs become irrelevant; distributions in hemispheres and quadrants are meaningless, so are dominant houses and houses' accentuations. Therefore, some chapters are removed from this part. Like the majority of Earth signs, Rachel Riley, you are efficient, concrete and not too emotional. What matters to you is what you see: you judge the tree by its fruits. Your ideas keep changing, words disappear, but actions and their consequences are visible and remain. Express your sensitivity, even if it means revealing your vulnerability. Emotions, energy and communication must not be neglected; concrete action is meaningless if it is not justified by your heart, your intellect or your enthusiasm. Cheers for communication and mobility, Rachel Riley! The predominance of Air signs in your chart favours and amplifies your taste for relations and for all kinds of short trips, whether real (travels) or symbolic (new ideas, mind speculations). You gain in flexibility and adaptability what you lose in self-assertion or in pragmatism. After this paragraph about dominant planets, of Rachel Riley, here are the character traits that you must read more carefully than the previous texts since they are very specific: the texts about dominant planets only give background information about the personality and remain quite general: they emphasize or, on the contrary, mitigate different particularities or facets of a personality. A human being is a complex whole and only bodies of texts can attempt to successfully figure out all the finer points. You need to concentrate on a subject, Rachel Riley, to deepen your research and to follow your reasoning through with persistence and determination. You are the very type of the thinker who needs time and isolation to meditate at length and allow her serious, methodical and rigorous mind to show its worth. Your feet are firmly planted on the ground and to get your attention, ideas must be followed by implementation, for instance as in the case of mathematics applied to physics. You focus on the essential and you look at the world around you with clear-sightedness. You are not very talkative and you act with caution. You may come across as cold and ambitious even though your comments are always sincere and practical. However, be careful not to isolate yourself and to appear as a lofty and intolerant person. Rachel Riley, it is obvious that you do not easily fall in love. But when you do, your feelings are deep, quiet, serious, and above all, lasting. Your need for security is indispensable for your well being and to enable you to give. You offer security and stability with your sense of duty even though you mix up responsibility and love. The charm of your partner does not only include physical features or aroused sentimental attraction, but also intellectual and moral qualities: you fiercely need authenticity and seriousness because this is the way you are. In general, your loves are not numerous and you become able to express yourself quite late in life. Your quiet and stable feelings are really worth it. If you do not get what you want, the danger is that you may seek refuge in cynicism and that you isolate yourself. Your iron will is part of your assets, Rachel Riley. It is supported by an ingenuity and a skilfulness that may turn you into a mighty and feared personality. You have the knack of spotting weaknesses in persons you deal with and you can easily hurt them with your innate propensity to drill or to test their force. You are extremely stubborn and you never let go when you are convinced that you are right. Sexually, you are potent and passionate. You are domineering and secretive, with a magnetic personality. It is safer to avoid being taken in a conflict with you because you may be very aggressive and you bear grudges. In some cases, you may also be sadistic. Your personality is as secretive as it is domineering in the areas of action and sexuality. This text is only an excerpt from of Rachel Riley's portrait. We hope that it will arouse your curiosity, and that it will prompt you to deepen your knowledge of astrology, as well as to visit and use the wide range of free applications at www.astrotheme.com.